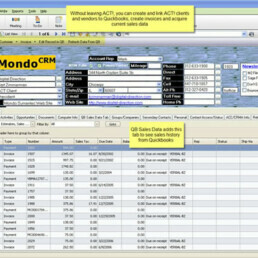 MondoCRM now offers a link from Act! to Quickbooks. Number of steps saved to enter a new customer in Quickbooks from Act! Number of steps saved to find customer sales figures without leaving Act! 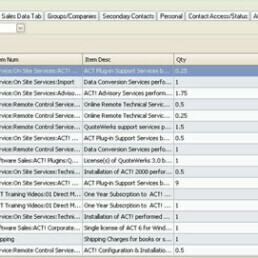 Video: Create Quickbooks Customers from Records in Act! 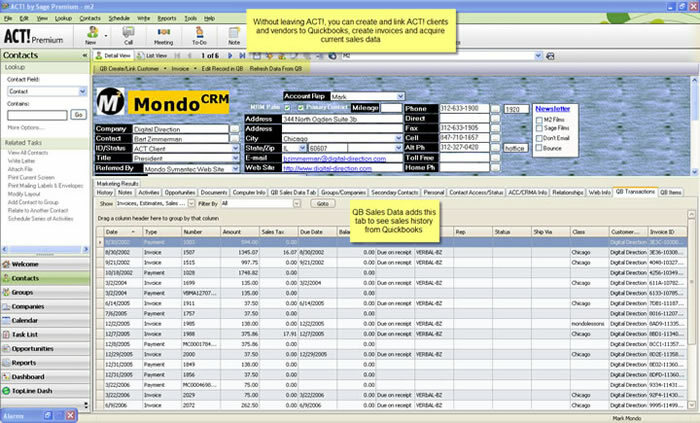 Video: Create Quickbooks Invoices, Estimates, Sales Orders from Act! 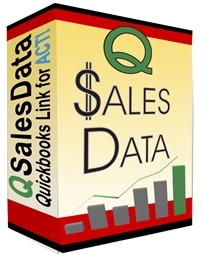 Video: View Quickbooks Sales Transactions in Act! Video: View Quickbooks Items Purchased in Act! 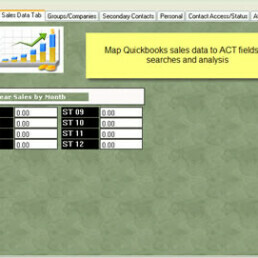 Video: View the Last 5 years of Sales Totals in Act! Determine who needs a QSalesData License. Quickbooks Invoices, Sales Receipts, Estimates tied into ACT! QSalesData links Act! with Quickbooks. As shown here, it will decrease duplicate data entry steps and bring data back to Act! for true analytics.